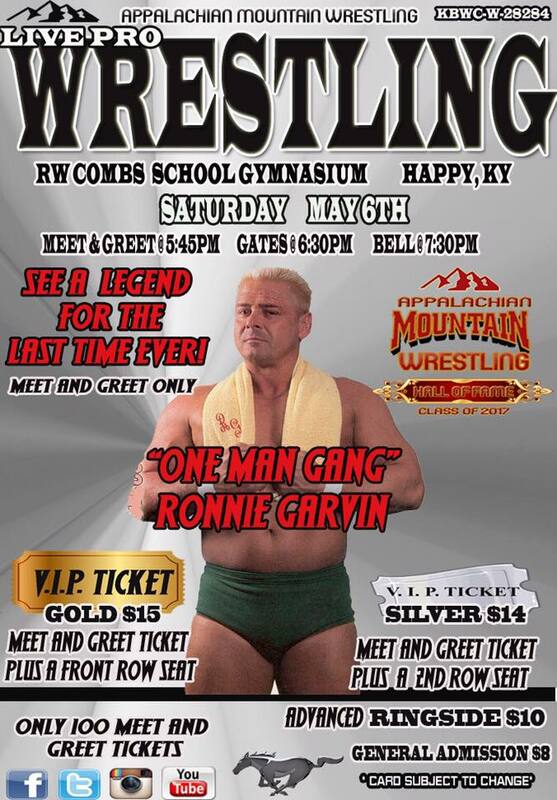 Ok I have had people ask me about meeting Ronnie Garvin next week in Happy (Hazard) KY. The only guaranteed way to meet him is if you have one of the 50 Golden (Front Row seat) or 50 Silver (Second Row Seat) Tickets. Those tickets will get you into the building at 5:45 with a special meet and greet with Garvin, Bart Batten, and stars of AMW. You will be able to meet Ronnie and get signed pictures, DVDs, or he will sign memorabilia that you bring for a small fee. There will also be chances to get your picture taken with Mr. Garvin. 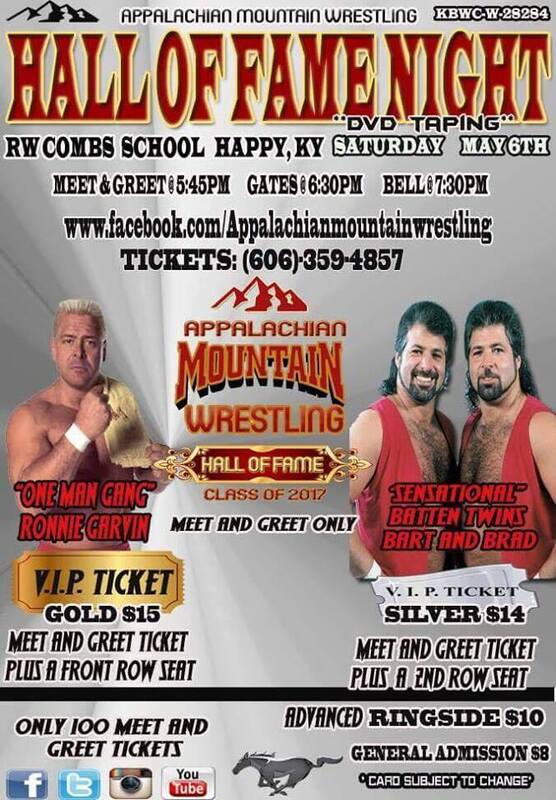 This Week's AMW TV April 11 and upcoming events.